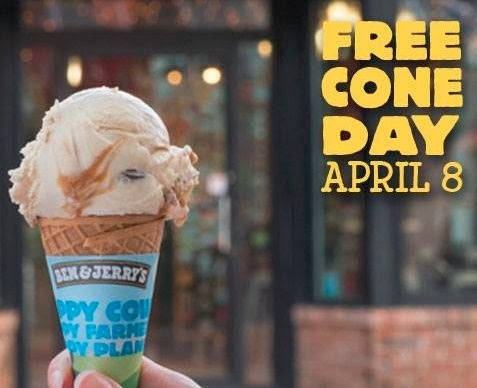 Get a free Ice Cream Cone on Cone Day @ Ben & Jerry's. Click the link below to go to their Facebook page to read the details. Go into your nearest participating store location to get a free cone on Cone Day April 8th, 2014.